1. quilon. we were there in late 2009 with vanessa and were very happy to go back for lunch with a friend who was passing through town. we each got the tasting menu and it was excellent. and it was also a lot of food for £36/head. 2. malabar junction. this is a large if somewhat garish place in bloomsbury which specializes in south indian food, specifically the cuisine of kerala. some things were quite good, most were fine, some were not very good indeed. still better than most indian places in the u.s, especially considering we got out at just about £20/head for quite a bit of food (all ordered to share). 3. cinnamon club. this is right around the corner from us in westminster and we decided to take a flyer on their set lunch today. it was really quite good. the room is great (it's located in the old westminster library) and the food was very good. the least of the dishes was above average by u.s standards and the best (a tandoori cod starter and a baked plaice main) were just excellent. at £26/head for three courses this was a very good deal and we'll likely go back once the set menu turns over. i'll have detailed reports on all of these on the blog in the coming weeks. next on the itinerary: lahore kebab house in whitechapel (recommended by our indian friends as better than tayyabs for similar food), set lunch at amaya and a return to hoppers. I envy you. Between the Indian food and the beers London is one of my favorite places. 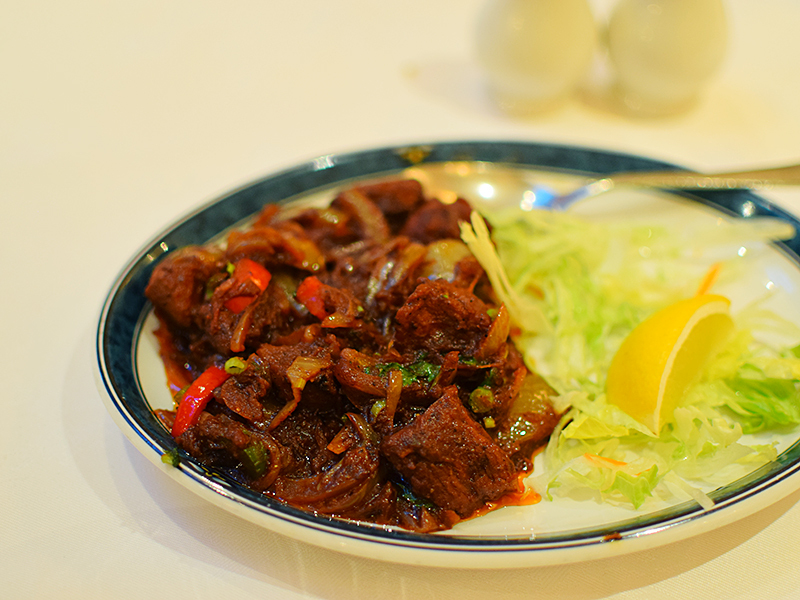 I liked lahore kabab house pretty well when I went last year. Mongo, have you noticed any differences in cooking or ingredients since your last visit? Many Indian restaurants in places like Edison, Woodbridge, South Brunswick etc in NJ have established their own supply chains. Dedicated growers for herbs and greens, suppliers for shrimp, etc. Rather than dealing with the big houses and compensating. 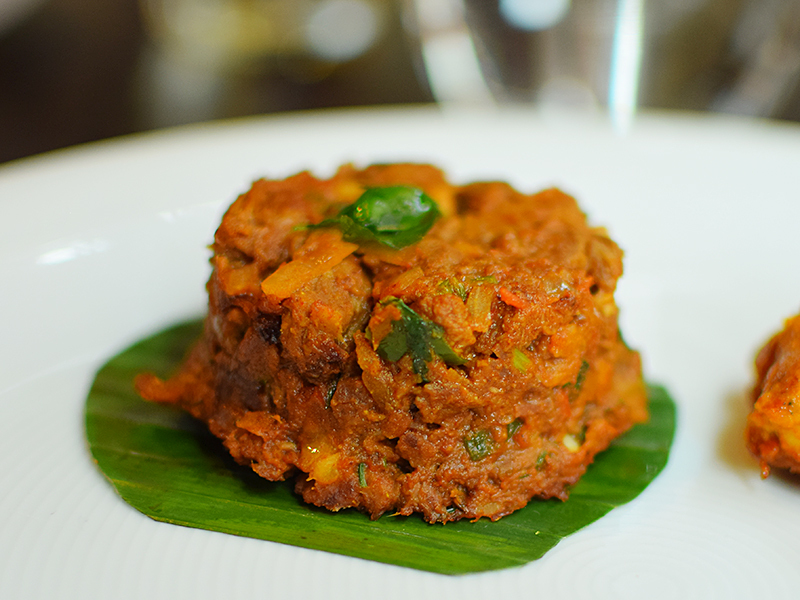 here is my write-up of our lunch at quilon 10 days ago. is it traditional to serve the veg courses last? Also your link is messed up. and no, it's not traditional to serve the veg courses last. but it's also not traditional in the cuisines of that part of india to have courses of any kind at all. the mango curry was the last course per se, the asparagus/snowpea thing was more of a side dish served along with the rice. i should have noted that though these come out in sequence it's not like they wait till you're done with the lamb and chicken (served plated) to put out the mango curry and veg and rice and paratha. so in that sense it's not true courses per se--and as i think about it now it's not listed as courses on the menu. will clarify this in the writeup. after our attempt to eat mod dim sum at a.wong today was thwarted by their not being open for lunch on mondays, we ended up again at cinnamon club and ate their set lunch*. the set lunch menu changes every month and today was the first day of the april menu. it was once again very good indeed. i have to say i am surprised cinnamon club doesn't have a higher reputation among local critics: the food across our two meals has been of a high standard, with good ingredients and imaginative cooking and composition of plates. the highlights today included what amounted to an excellent shami kabab, a semolina battered and crisply fried sardine with green chilli aioli and a pepper chicken in a kerala style. we'll probably come back for lunch again in may. *mrs. jones and i go out together for lunch on mondays while the boys entertain a tutor. we only have two hours, including travel and so can't go very far afield or to any place with a likely wait or very relaxed service. next monday we'll probably go to bourough market. Hope you try Gymkhana on this trip! i'm afraid i'm not going to be going to gymkhana on this or any other trip. there's enough good indian food in the city to eat without giving custom to a place that trades in raj nostalgia. more southwestern coastal indian food in london: this time at malabar junction in bloomsbury. the meal ran the gamut from quite good to quite bad. 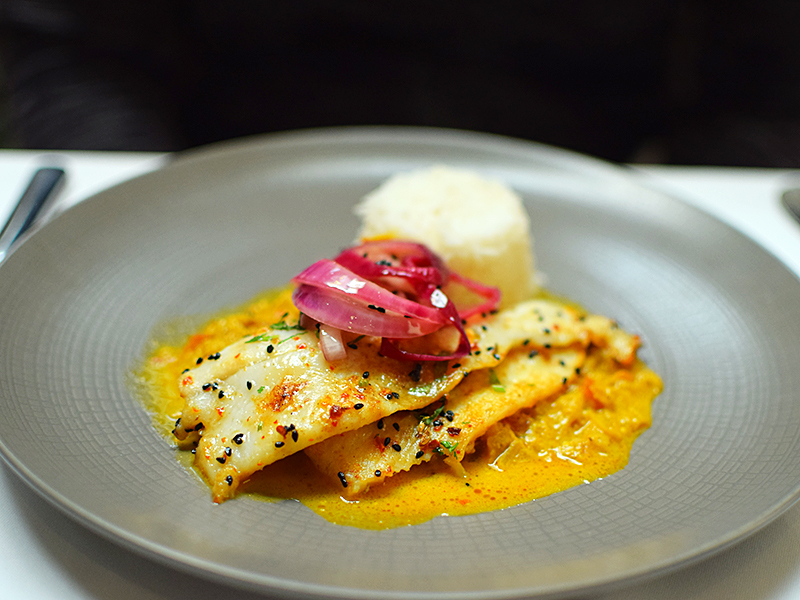 here's a long'ish write-up of our two meals at the cinnamon club in westminster. on the whole, at least as good as our lunch at quilon, better than my lunch at trishna last year, and far better than my lunch at dishoom. a little surprised they don't have a stronger reputation locally. maybe because they're not trading in indian kitsch as seems to be all the rage in london these days or presenting a regional menu? Very interesting. Yes, it is off the culinary radar over here. I had a vague perception that it was somewhere MPs had lunch... I've never been, in 14 years living here, and having tried pretty much ever other high end Indian joint. I should give it a go. Great photos by the way! butter chicken etc. in what is apparently the uk's oldest north indian restaurant*, punjab in covent garden. the food here is on par with restaurants of similar (low) ambitions in delhi. i mean that as praise. the stuff from the tandoor was the weakest; the dal was probably the highlight. kitschy decor that worked for me--i'm not sure if it's always looked that way. *which leads me to wonder if there's an older south indian restaurant and which it is.